NIA CHARLESTOWN NEVIS (SEPTEMBER 30, 2015) — The Ministry of Social Development in the Nevis Island Administration (NIA) through its Senior Services Division, will mark the United Nation’s International Day of Older Persons on October 1st with a month of activities. Coordinator of the Seniors Division Garcia Hendrickson, urged the seniors to take advantage of all that is being offered to them now because the time may come when they will not be able to participate. According to Hendrickson, the launch of the Subsidized Bus Transport Programme, an initiative of Junior Minister responsible for the welfare of Seniors Hon. Hazel Brandy, takes place onOctober 01, at the Square in Charlestown from 3 p.m. to herald the start of activities. The Programme is designed to provide registered Seniors who are 65 years and older throughout the island with a bus pass for a subsidized bus fare of $1.00 on designated buses. Another highlight of the month will be an event called “Fun and Action Games” scheduled for October 15, 2015 at the Elquemedo T. Willet Park. 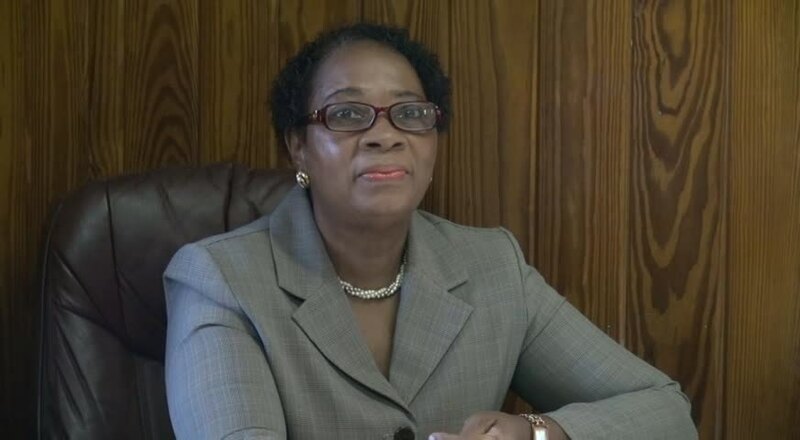 The all-day event is an initiative of Nevis Mental Health Nurse Manager, Ms. Meredith Amory-Field and will be held in collaboration with the Mental Health Unit, the Red Cross and the Seniors Division. Hendrickson called on Seniors to register for the Games and practice sessions are being held at the Park with coach Mansfield Nisbet. Admission to the games will be $5.00 for adults and $3.00 for children however, she is soliciting sponsorships for the provision of meals for the participants. The other activities scheduled for the month are a Thanksgiving Service also known as World’s Communion Day would be conducted on October 04 at the Wesleyan Holiness Church in Hanley’s Road from 10.00 a.m. to 12.30 p.m. All Seniors in attendance are requested to wear white. The Seniors will also lead Morning Devotions at Voice of Nevis (VON Radio) every Monday during October commencing on the October 05. On October 08, movie and board game activities will be held at the Jessup’s Community Centre. The Seniors’ will have the opportunity to have their blood tested on October 12 at the St. Paul’s Conference Hall from 9.00 a.m. During that time their craft will be exhibited and available for purchase by the public. On the 20th staff of the Division will relieve workers at the Flamboyant Nursing Home and the, St. Georges and St. John’s Nursing Home of some of their daily duties during the morning of the October 20. The following day on October 21, the Division’s staff will present gift packages to shut-in seniors at their private homes. On October 23, based on a request by the seniors, some will be taken for a ride on the St. Kitts Scenic Railway while others will be taken on an island tour of St. Kitts. The fee for the train ride is reduced to $50. The day’s activity will culminate with lunch at the Manhattan Gardens Restaurant. The Division will also host a Gala and Award Ceremony for the Seniors on October 27 at Occasions Conference Centre at Pinneys from at 5 p.m.
On October 30, Seniors in Nevis will join their counterparts in St. Kitts for a march in Basseterre from 10 a.m. That activity will bring the curtains down on the month of activities celebrating the seniors on Nevis.